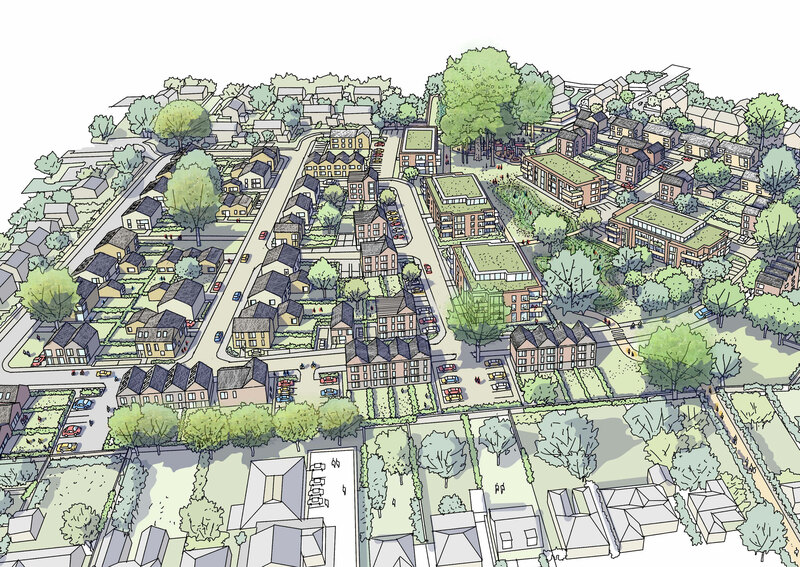 Working in close collaboration with Wokingham Housing Ltd and local residents, we have designed a deliverable masterplan for the Gorse Ride South Estate that reflects the quality and sustainability aspirations set out in the Wokingham Borough Council Local Plan. 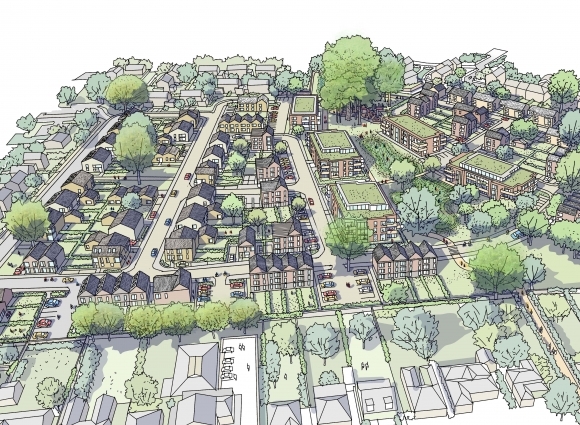 The scheme replaces the existing 178 dwellings with 243 new homes, offering a mix of typologies that will suit the varying needs of the existing and new community. We have taken a comprehensive phased approach to renewal in order to transform the neighbourhood into a place where people want to live for years to come. A large village green will form a new heart for the community. The green will incorporate two new play facilities and will provide drainage basins for above ground attenuation. Two-storey housing has been located around the perimeter of the scheme while three and four-storey apartment buildings provide passive surveillance to the new green. Green corridors throughout the site offer additional open spaces and facilitate pedestrian movement through the site.